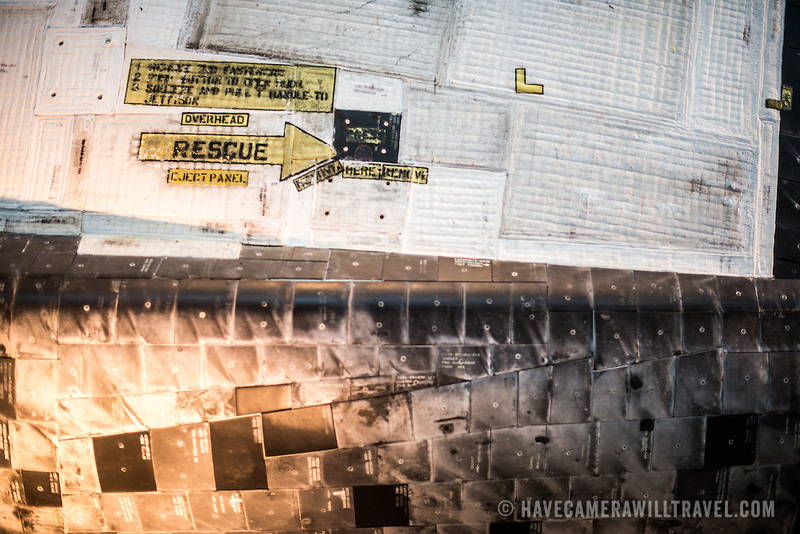 Close-up of the heat shield and outer shell of the Space Shuttle Discovery on display at the Smithsonian National Air and Space Museum's Udvar-Hazy Center. Located near Dulles Airport, the Udvar-Hazy Center is the second public facility of the Smithsonian's National Air and Space Museum. Housed in a large hangar are a multitude of planes, helicopter, rockets, and space vehicles.